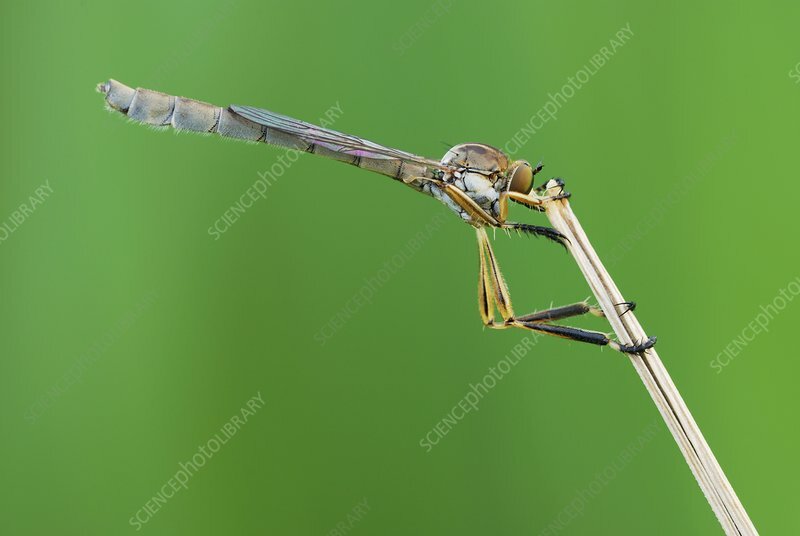 Robber fly (Leptogaster cylindrica) on a plant stalk. Robber flies (family Asilidae) are predators of other flying insects that they ambush in flight. Photographed in Poland.